A Venetian Cog (or approximation thereof) of the early or mid sixteenth century. She's clearly of a transitional type; the carrack had already begun to supplant the cog starting in the late fifteenth century and early sixteenth century, and the galleon would soon arrive on the scene to begin the ouster of the carrack. The Sublime Porte had lost its taste for naval warfare, and was content to leave the Spaniards alone, while pursuing its traditional rivalry with the Shi’ite emperors of Persia. This was extremely convenient, since Spanish preoccupations also now turned away from the Mediterranean; Philip II’s great ambition was to defeat the new type of Infidel who was crawling all over northern Europe: the Protestants. Philip was ensnared by wars with Elizabeth of England and his rebellious subjects in the Low Countries. He had seen off not just the Ottomans but the Moriscos, whose lands in Andalucía were depopulated and abandoned. In addition, he had received an unexpected prize in the form of Portugal and its overseas empire. Filled with crusading bravado, the youthful King Sebastian of Portugal led his forces to a massive defeat in Morocco in 1578, whereupon he was succeeded by the last member of the house of Aviz, Cardinal Henry, and after he died without an heir in 1580 the Portuguese crown passed to Philip of Spain, who did not actively pursue the old Portuguese dream of taming Morocco. The Mediterranean looked quite small within the massive conglomeration of lands Philip ruled in the Old World and the New. An Italian political theorist, Giovanni Botero, published a work on Reason of State in 1589 that was to prove especially popular in Spain. He argued that dispersed states are inherently weak, but that the Spaniards had managed to overcome this through the flexible use of their fleet. Within the Spanish Empire, ‘no state is so distant that it cannot be aided by naval forces’, making it possible for Catalan, Basque and Portuguese sailors to join together Iberia, King Philip’s Italian states and even the Low Countries in a single unit: ‘the empire, which might otherwise appear scattered and unwieldy, must be accounted united and compact with its naval forces in the hands of such men’. The calming of the Mediterranean resulted from the tacit settlement between the Ottomans and the Spaniards. But crossing the sea became all the more dangerous once Spanish patrols limited themselves to protecting the coastal waters of southern Italy, Sicily and Spain. Jewish and Muslim merchants regularly saw their goods seized by Christian pirates. The dangers were increased as newly disruptive seamen took to the waters of the Mediterranean. 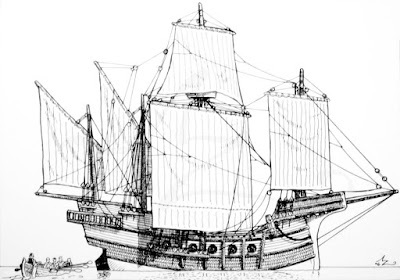 As the Atlantic economy began to develop a new vigour, Dutch, German and English seamen made their way deep into the Mediterranean, whether for trade or piracy; once north European merchants appropriated a large share of the traffic in grain and spices within the Mediterranean as well as the Atlantic, the relationship between the two great seas, developing gradually since before 1300, became much more intense. More will be said shortly about these visitors; yet there were also interlopers from within the Mediterranean who posed a severe threat to the navigation of the traditionally dominant powers. The Uskoks of Senj operated from a base tucked away among the islets and inlets of northern Dalmatia, behind the islands of Cres, Krk and Rab. What is now seen as a coastline of great beauty inspired fear in the late sixteenth century. This was a borderland between the Ottoman territories in the Balkan interior and the Habsburg domains in what are now Slovenia and northern Croatia, not to mention the Venetian possessions along the Adriatic coast. In such a setting it was possible for wilful, independently minded bandits and corsairs to flourish, especially if they presented themselves as standard-bearers of the Christian crusade against the Turks, working for the good of Christendom and Habsburg Austria. The reshaping of Venice (a more suitable expression than ‘decline’) left others freer to intrude themselves into the Levant trade. The withdrawal of Venice was compensated by a revival of commercial activity among the Greeks, who serviced the trade of the Ottoman Empire in the Aegean, and between Asia Minor and Egypt. On the other hand, the coming of the English was a by-product of the great rivalry between the king of Spain and the queen of England, between the Catholic monarch and his Protestant opponent. Elizabeth was tempted to make contact with the Sublime Porte, partly for political reasons – seeing in ‘the Turk’ a fellow-opponent of Philip II – but also for commercial motives. In 1578 her minister Walsingham wrote a tract on ‘the trade into Turkey’ in which he opined that the time had come to send an ‘apt man’ secretly to the Ottoman sultan, with letters from Queen Elizabeth. A Turkey Company was founded in 1580, to promote trade with Ottoman lands. Yet it also reflected a new aggressiveness among English merchants in markets traditionally dominated by the Italian merchants who had long supplied England with exotic wares. By increasing tariffs on Venetian ships and their goods, the queen made clear her intention of favouring native-born merchants in trade with the Mediterranean, though she did renew her agreements with Venice in 1582, and Venetian galleons were still reaching England until the end of her reign. One target of the English was Morocco, where tradesmen of the Barbary Company were making their presence felt even before Elizabeth ascended the English throne in 1558. Exports included armaments, which English merchants were happy to think might be used against the Spaniards and the Portuguese. None of this prevented the English from trying to develop other routes that would bypass the Mediterranean entirely, bringing spices to northern Europe via a north-west or north-east passage, colder but supposedly quicker than the Portuguese route around Africa; as a result the English became involved with the Muscovy trade. Since this failed to produce the spices they sought, they turned back to the Mediterranean, utilizing that combination of piracy and commerce for which the Elizabethan privateers have become so famous; many of those involved in the Turkey Company (soon known as the Levant Company) had also invested in the Muscovy Company. The Venetians were in a sombre mood about these developments. As English trading vessels penetrated into Turkish waters, they deprived Venice of the revenue it had traditionally received through forwarding English cloths from Venice into Ottoman territory. An agreement between the English queen and the Ottoman sultan was bad news. Nor did the Venetians approve of Elizabeth’s religious policy; Venice was hardly the most whole-hearted supporter of the papacy, but was still unwilling to send a formal ambassador to England until 1603, the year Elizabeth died. And yet there were some developments from which the Serenissima benefited. English ships began to sail as far as Venice itself, with the result that the city was supplied with basic northern products on which its survival increasingly depended, notably grain: the trade in northern grain grew in volume, as grain lands went out of cultivation in the Mediterranean and as shortages were accentuated by a series of famines, which were already beginning to bite as early as 1587. Dried and salted fish from the Atlantic was also a firm favourite – stoccafisso (‘stockfish’) became and remains an essential ingredient in popular Venetian cuisine. The English and Dutch came to buy as well as to sell. Initially, the focus of English attention was not the trade in spices such as pepper and ginger, but products grown on islands that lay under Venetian rule: Zante and Kephalonia, in the Ionian isles. Since the late Middle Ages the English had been obsessed with currants, raisins and sultanas, and competition with the Venetians for access to what the Italians call uva passa, ‘dried grapes’, caused many ugly incidents. English merchants intruded themselves so successfully into the Ionian isles that they were soon carrying off the greater part of its dried fruit. The Venetian government attempted to prevent the islanders from doing business with the foreign merchants, a prohibition about which the inhabitants complained volubly, and which they largely ignored. Meanwhile, the English had no compunction about attacking Venetian ships, especially if they were trading with Spain, which supplied the wool they needed for their looms. In October 1589 an English captain fell out with a Venetian captain in the harbour of Corfu; the Italian challenged the Englishman to a duel, and called him an insolent dog. When the Venetian ship slipped out of port the English captain impudently gave chase. After a brief exchange of gunfire the Italian decided he had had enough and abandoned ship, but even then the English captain pursued his longboat part of the way back into Corfu harbour. These pirates respected no one. In 1591 English pirates who had been made welcome in the port of Algiers plundered a Ragusan ship in the channel between the Balearic islands and Barcelona as it was sailing west from Livorno. The North African rulers were often content to let the pirates use their ports so long as they shared their booty with the rulers of Barbary. Crews might be half-Muslim, half-English. One English exile, John Ward, brought 300 men under his command; in 1607 he terrified the captain of a Venetian spice galleon into surrender, and sold its cargo in Tunis for 70,000 crowns, only to follow this with the seizure of goods worth 400,000 crowns. Irate at the treatment Protestants received when they fell into the hands of the Inquisition, English pirates also defiled Catholic churches on islands held by Venice.